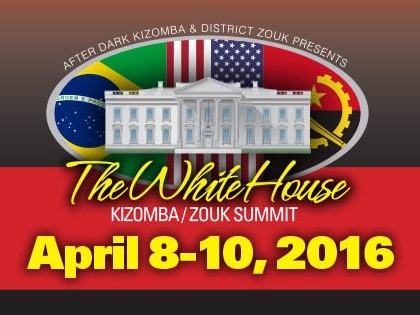 The White House Kizomba & Zouk Festival 2016: 3 days of workshops, 6 nights of parties, national and international instructors, dance performances, and a live musical performance. What follows is a shorter version of my full write-up on the event. “Every year the Summit has doubled in size and every year we have added new challenges and growth to make it closer to our overall vision: a celebration of the music and dance forms centered around Kizomba and Zouk,” said founder Tanya in a Facebook post following the event. There were several visible markers of growth, including the increasing size of the venues, the move this year to a true DC address, the growth of the organizing staff and volunteer crew, and the extended lineup of national and international teachers. While class offerings didn’t double, there were 4 concurrent tracks – 2 for kizomba, and 2 for Brazilian zouk. The parties were gorgeous and well-attended, especially on Saturday night. 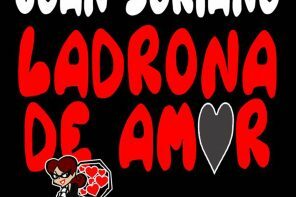 It’s easy to understand why – there were top-notch DJ’s, six performances (including the culmination performance of the Semba Choreography Intensive offered once again by Miguel & Susana), extensive Afro House and Kuduro animation, and the special feature of 2016 was a live performance by one of the founders of the kizomba music genre, Eduardo Paim. Witness for yourselves! The “About” page claimed the Summit would be “keeping its African family get-together feel,” and in my third year attending this event I’d say that Tanya and Ashley and all the people involved in making the Summit happen were fully invested in delivering that welcoming feeling. I had the best of intentions when Tanya strapped an all-access pass on my wrist, but obviously this festival’s workshop offerings added up to more than any one person could possibly sample, let alone enjoy immersively. Prioritization is so hard at festivals of this caliber! In the end I stayed in the realm of kizomba, attending most of the Masters Kizomba/Semba classes and a couple of the general ones. If I could have doubled myself I would have loved to take several zouk workshops, but as it was I enjoyed some crossover between social rooms in the evenings. From my limited perspective, it did seem there might be more mixing between the two sides of the Summit this year. 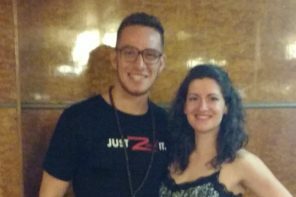 I wasn’t the only kizomba dancer spending time in the zouk room, and some of the other kizomba teachers did a better job getting over to take some zouk workshops. I had more followers introduce themselves to me on the kizomba floor as newbies more used to dancing zouk. There were periods on Saturday and Sunday when the social rooms were combined, which offered us all an opportunity to mix a bit more. I also really appreciated the deliberate setup of a crossover dance among all the instructors and performers on Saturday night. Have a look! We had a great group of artists at The White House Kizomba/Zouk Summit this year. Saturday night we brought them all up to dance together to the same song, switching partners throughout the song. Some danced Brazilian zouk, some danced kizomba. All had a great time, and we enjoyed watching it. There is very little to criticize about the 2016 Summit. There was a slightly confusing online presence, with a proliferation of event pages on Facebook that made it difficult to find relevant announcements quickly, and the official website was a bit tardy in appearing. I personally didn’t care for the extensive use of a fog machine in the zouk room, but I think those of us who found it made breathing a chore were very much in the minority. I mentioned it on one evening and a staff member obligingly switched it off for a while. The festival stayed remarkably close to its announced schedule, with the only annoying disparity being the delay of Paim’s concert by more than an hour. The Fantastic 4’s Afro House/Kuduro class for the Master’s track was killer. I mean that in many ways – the choreography was great fun; they brought enormous energy; the moves were explained clearly, often with bonus contextual information; AND I had pain in certain small muscle groups for two days following. I so appreciated Jamba & Adorée‘s instructional style in the “Semba Show” class. The technique required for each trick was clearly explained in terms of leading and following. I discovered that I was perfectly capable of doing a move that had frustrated me at another festival. I won’t call anyone out, but in that case I was basically told that some things can only be led by a man, and that it was all about strength. In a matter of minutes Adorée and Jamba had me leading it with confidence. Obviously the Saturday night concert by Eduardo Paim was a highlight, although I dearly wish we could have seen him perform with a live band. Of additional interest was a panel discussion that featured him the following day. The mix of earnestness and hilarity that characterized this meeting would be difficult to capture in print. 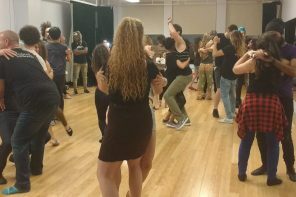 Hearing a perspective from a primary resource inspired additions to my webpage on kizomba history, and Kizomba Harmony captured a fairly long segment that you can view on Facebook. In a reflective post on Facebook, Tanya said: “Eduardo Paim, we made history together and Kizomba in the USA will never be the same.” I agree that this has been a landmark event for authentic kizomba dancing in the United States. The Summit is an event I’d be proud to hold up as an example of what an American kizomba festival can be.